Behavior Driven Development (BDD) is known as a software development process which is initially called as Test Driven Development (TDD). 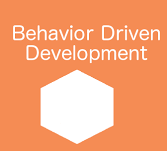 BDD uses various examples to narrate the system behavior that are written in a readable and understandable language to all the people involved in the development. BDD concentrates on offering a shared process and shared tools which promotes communication between the software developers and business analysts to work on software development. The major objective of BDD is to deliver products with business value. This tutorial is mainly useful for software developers as well as business analysts across the process.